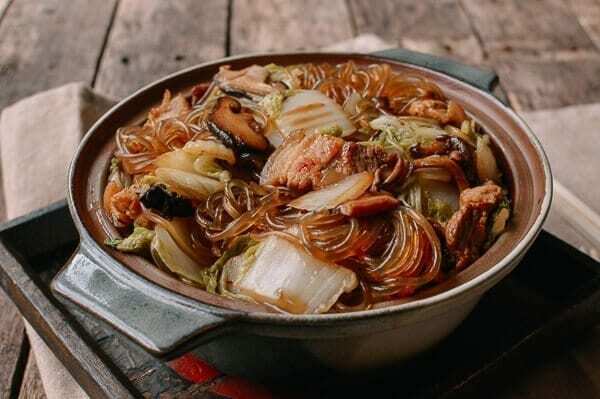 Braised Glass Noodles with Pork & Napa Cabbage, or 白菜猪肉炖粉条, is a traditional dish from Northern China, and I’m pretty certain that most northerners have their own creative ways of cooking it. 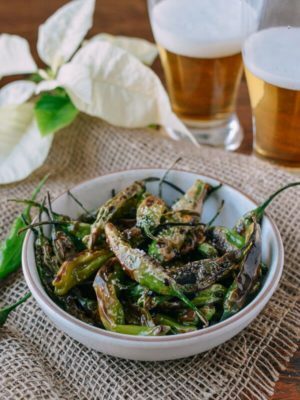 Some like to use sour cabbage instead of fresh cabbage, and some like to add chili. Some prefer it saucy, and others prefer an almost soup-like consistency. Of course, everyone claims that their own mother or grandmother makes the best version. 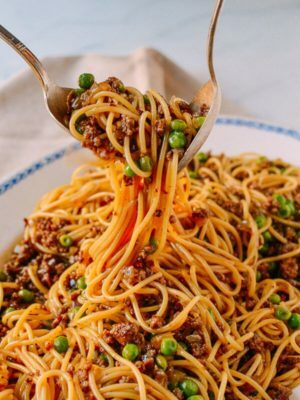 I am certainly not here to compete with the mothers of the North, but I do want to shed some light on this delightful dish, and this is how I like to prepare it. 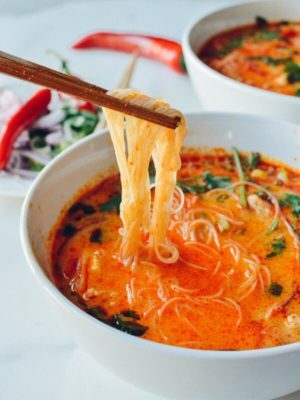 Plus, I know you guys love noodles! 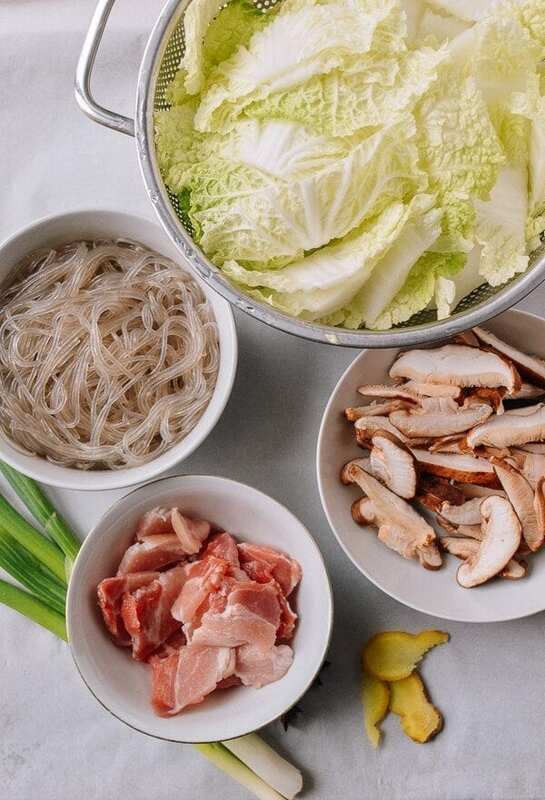 If you’re a fan of our Ants Climbing a Tree recipe (another famous glass noodle dish), you’ll love these braised glass noodles with pork and napa cabbage. 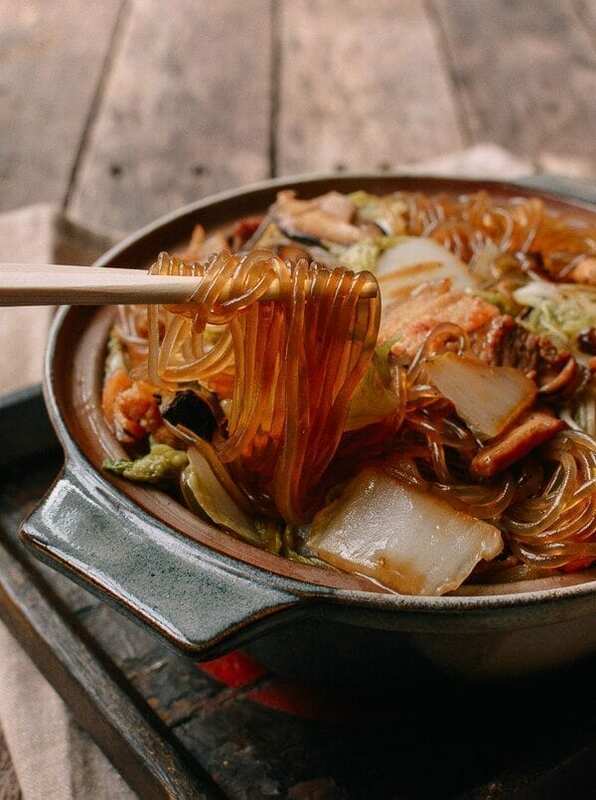 The most common glass noodle in Chinese cooking is generally the mung bean noodle. It’s super absorbent, and soaks up liquid a little too quickly. 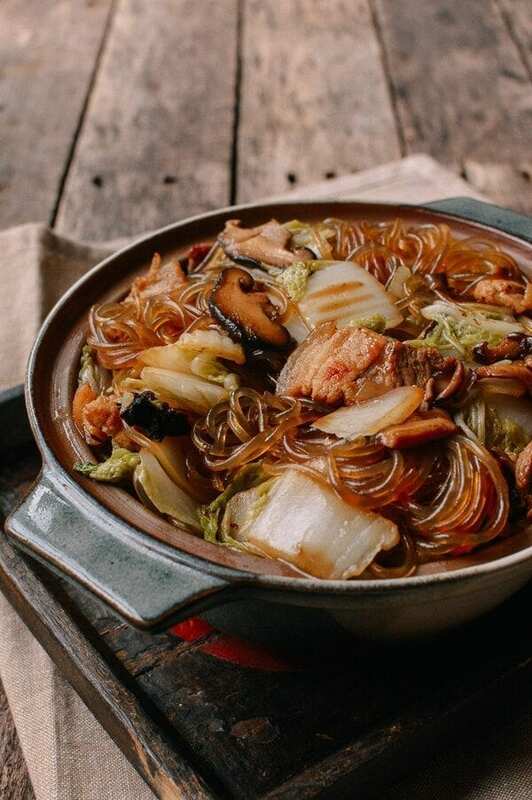 So for this recipe, I decided to use Korean sweet potato noodles (commonly used for Japchae). 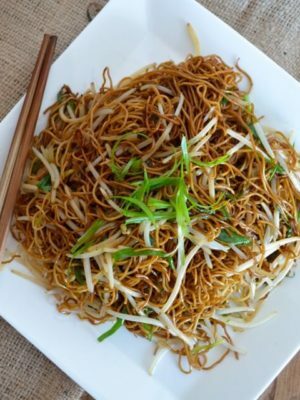 I like the texture of these noodles, and they work great in this dish! Pre-cook the sweet potato noodles, following the instructions on the package. 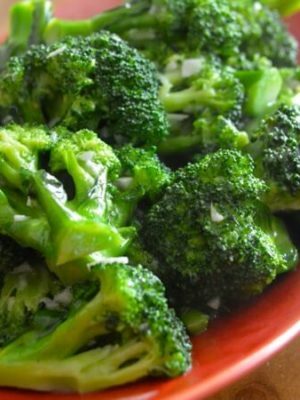 Drain and toss in a teaspoon of oil to prevent sticking. Set aside. 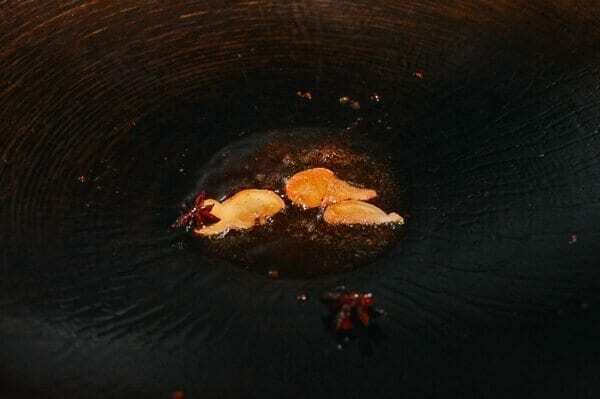 Heat 3 tablespoons oil in a wok over high heat until just starting to smoke. Brown the pork belly for about a minute, and then turn the heat down to medium. 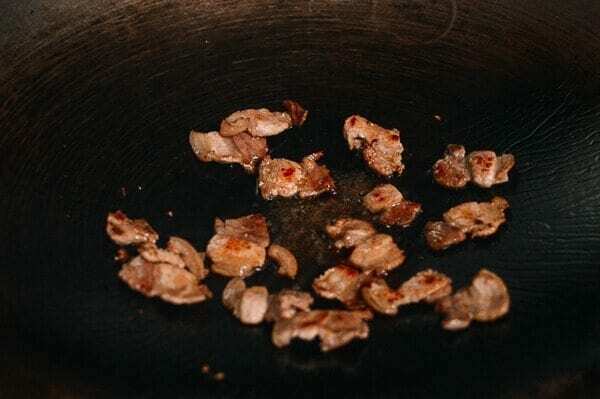 Remove the pork belly from the wok and set aside. Add the ginger, star anise, and mushrooms, and cook for a minute. 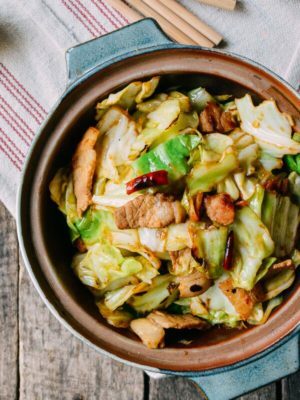 Turn the heat back up to high, and add the napa cabbage. Stir-fry for a minute, and then add the salt, oyster sauce, dark soy sauce and chicken stock (or water). Mix everything well, cover, and simmer for 3 minutes. 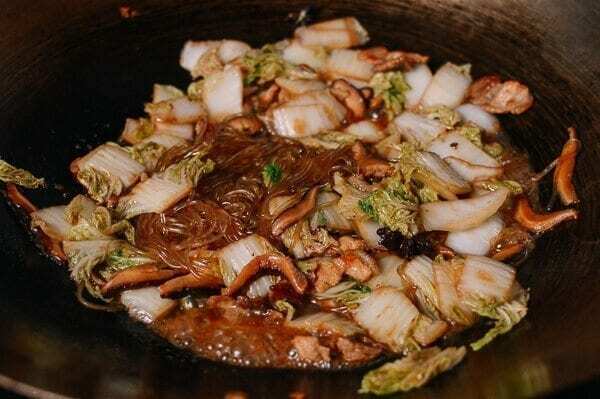 Mix in the cooked glass noodles and pork belly, cover, and simmer for another 2 minutes. 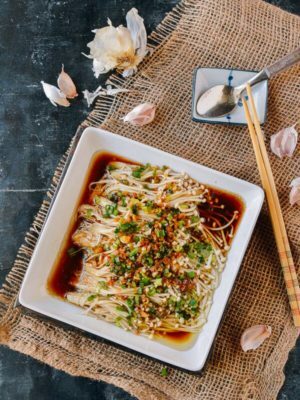 Stir in the chopped scallion (if using) and serve! 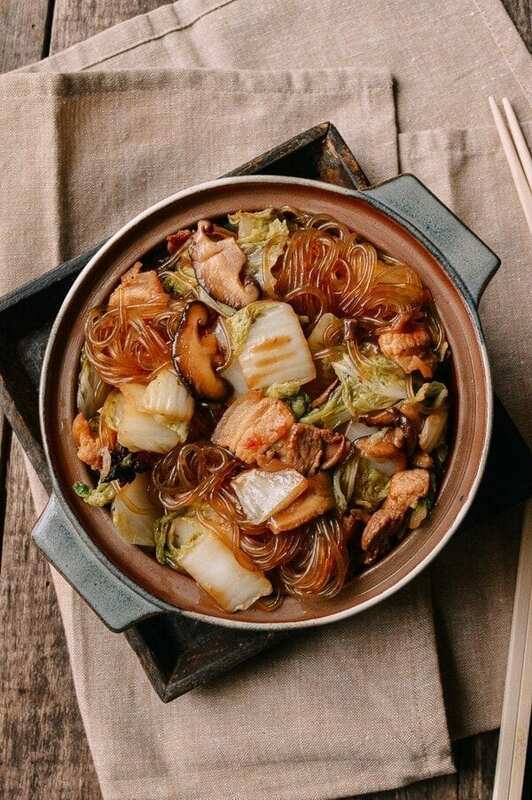 Braised Glass Noodles with Pork and Napa Cabbage is a traditional dish and Chinese comfort food from Northern China that families make all throughout China. Heat 3 tablespoons oil in a wok over high heat until just starting to smoke. Brown the pork belly for about a minute, and then turn the heat down to medium. 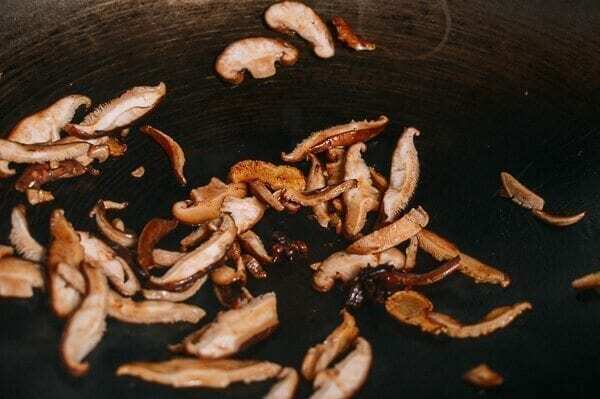 Remove the pork belly from the wok and set aside. 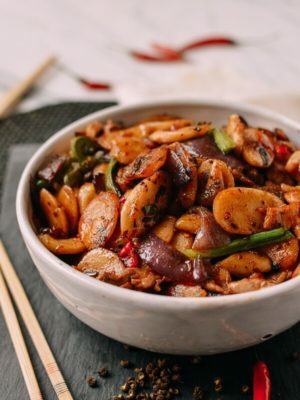 Add the ginger, star anise, and mushrooms, and cook for 1 minute. 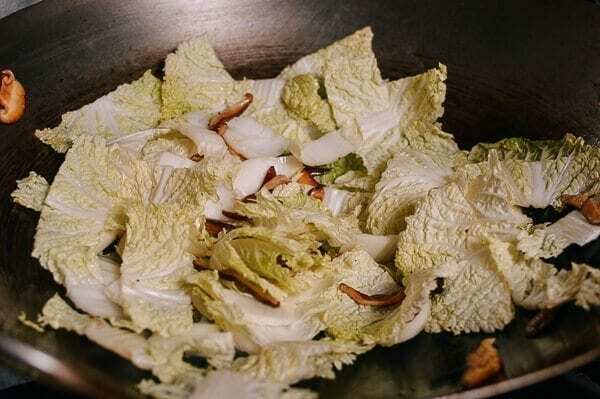 Turn the heat back up to high, and add the napa cabbage. Stir-fry for a minute, and then add the salt, oyster sauce, dark soy sauce and chicken stock (or water). Mix everything well, cover, and simmer for 3 minutes. 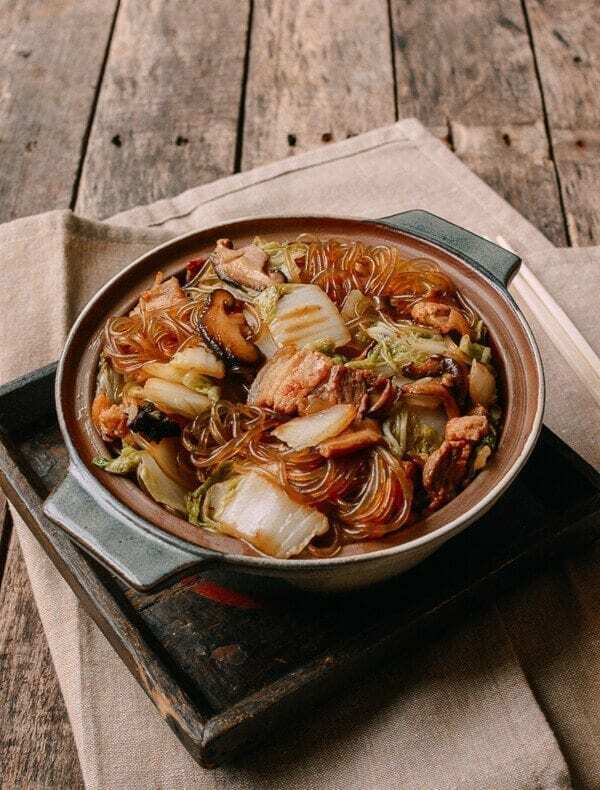 Mix in the cooked glass noodles and pork belly, cover, and simmer for another 2 minutes. 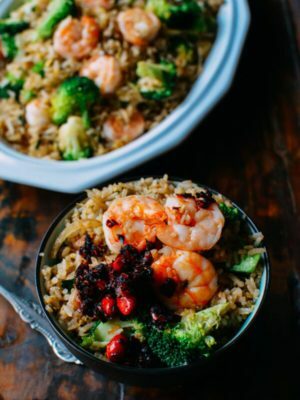 Stir in the chopped scallion (if using) and serve! Please give this recipe a try, Rose! I’m sure you’ll like it. 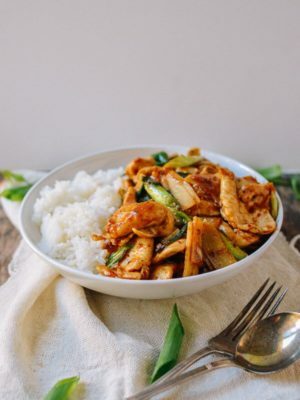 I just made this for dinner tonight! It was so good! I added the daikon after being inspired by your BRAISED DAIKON WITH SALTED PORK & GLASS NOODLES recipe and I couldn’t decide which one to make lol Thank so much! Hahaha…it’s all good, Jake, it’s all good! As always, a hit! 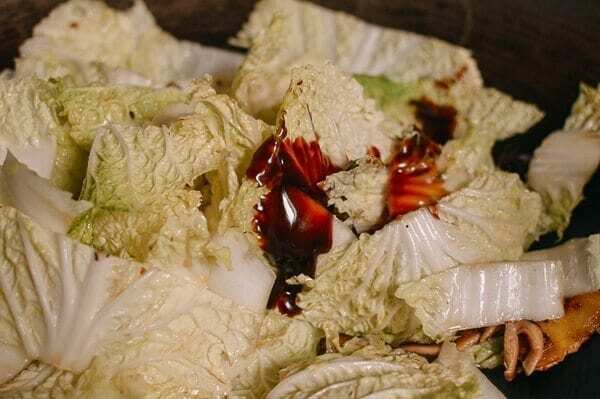 I needed something new to cook with my CSA’s napa cabbage and once again, you all saved the day. I’m not a huge anise fan, but I knew I could trust the recipe. It was the perfect addition of flavor. 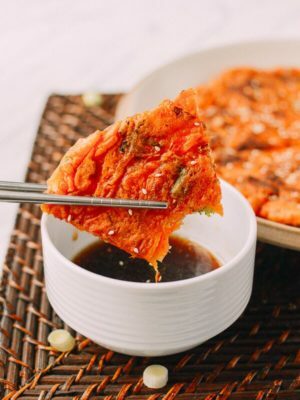 I subbed in rice noodles, but can’t wait to try it again with sweet potato ones. Thanks for always being a a go to! Thank you so much for your heartwarming comment, Michelle! I’m obsess with noodles so this I must try. But I don’t eat pork, can chicken be a good substitute? Hi Nai, yes, you can use chicken. 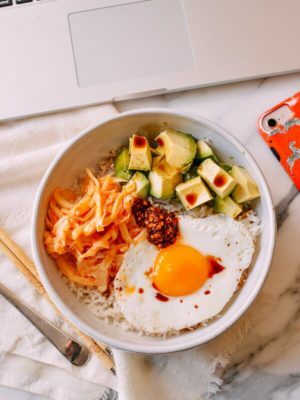 Can I prepare this dish a day ahead and just warm it up for lunch the next day? 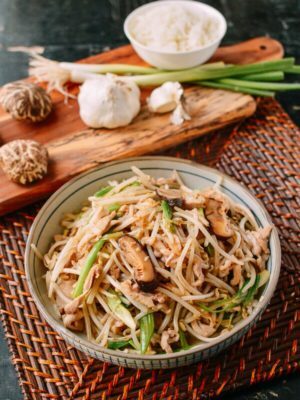 Hi Jackie, you can, but you need to add the glass noodles when you re-heat the next day, because glass noodles cook within a minute or two. All my favourite flavours, can’t wait to try this! 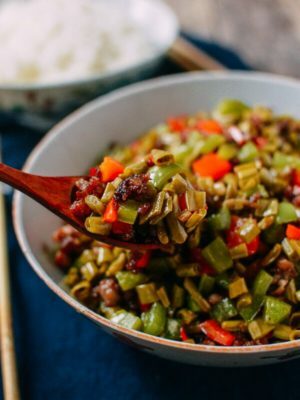 I’m currently studying in China and it’s so hard to find recipes that won’t break the bank AND have ingredients that are readily available to me! I’d only need to go out to buy the meat for this one. It seems like it’d be ready in a flash too. Perfect! Hope you like it, Chloe! BTW, we have so many recipes that you can try while in China. Start with our quick and easy recipes. Hi! I’m planning to make this for a CNY potluck. I have mung noodles so will be using that instead. Will the noodles absorb all the sauce if I leave them in the pot? What can I do? Cook the last stage at the host’s home? By the way, I cooked your Cantonese braised pork belly with arrow head and it was so delicious! Thanks for all your wonderful recipes! Hi Kerry, Happy CNY! Sorry that I missed your comment. I’d cook the last stage at the host’s home. Hope you had a great CNY potluck.